Let me start by saying that the name of this product doesn’t do justice to the product. For starters this is not merely a DAC. This is a full function preamplifier with 5 line inputs: Coaxial, Optical, 2 line inputs (CD/DVD and Aux), and a USB input. It’s also an OP amp headphone amplifier. The unit can also bypass the tube stage and work as a solid-state preamplifier. 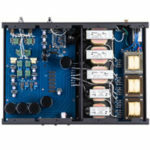 Several years ago, the internet was abuzz with the Chinese company Antique Sound Labs which offered $99 Wave 8 mono-block amplifiers that were 8 watts of class A tube amplification. Well, Grant Fidelity has arguably found the preamplifier/DAC equivalent in the Tube DAC-09. I was the first reviewer to bring the Grant Fidelity Rita 880 to the publicized world and what that integrated amp did was force people to take notice, that one does not need to spend a fortune to get a high quality, class A, terrific sounding tube amplifier with impressive power and ridiculous high build quality. The Rita, while not the first Chinese made amplifier on North American shores, goes a very long way to discredit the notion that Chinese made hi-fi is second rate kit, and certainly blows away any notion that Chinese made gear is poorly built. In fact, amplifiers like the Rita should make many of the domestics sit up and pay attention, something that domestic automakers should have done long ago. Since it’s advertised as a Tube DAC that’s the first thing I used it as. Taking it out of the box, I was greeted to the relatively heavy little unit with brushed aluminum silver face plate. Build quality to price is high, once again. At this time it should be noted that the Tube DAC comes shipped as a DAC, and will only work as a preamp if an internal switch of wires is made. This is addressed on their website but not in the manual. If you do not make the internal switch as described on the Grant Fidelity website and you use it as a preamp, then you will send full output signal to your loudspeakers. As I did not read the website and this information is not listed in the owner’s manual, I sent full output to my Audio Note J speakers. Fortunately, the music played was acoustic guitar material from one of Sarah McLachlan’s live albums, or else I would have seen woofers fly across the room. Grant Fidelity is aware of this lack of information in the manual and is working to correct the issue, but just in case your manual is without this information you are now so warned. With that out of the way we get to the sound. First, I connected it up to my Sony CDP CX-355 300 disc mega changer, partly because I happened to have an optical cable and my other CD player only has a 75-ohm coaxial out. Besides a lack of cable, I was very curious to see what this combination would offer. 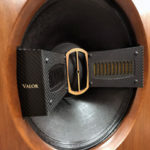 The Tube DAC with the functionality of a 300-disc player is an intriguing option for those audiophiles still not up with computer audio and on a tight budget. The Sony player was never a particularly bad machine in the sense that it stayed with a safe non-bright, albeit uninteresting, unexciting presentation. The first thing the Grant Fidelity DAC did was add a whole pile of fun to the picture. Not a very audiophile/reviewer thing to say, but that was my gut reaction. The bass was big, bold, and possessed a much beefier and broader foundation. The tube unit added ambiance sorely lacking to the Sony’s presentation. What a refreshing take on the music adding life and excitement to a tired sonic aesthetic. With the worthwhile addition of ambiance came a slightly higher noise floor and a little bit of added reverb or a slight audible distortion on voices. I did a double check, connecting the Sony player by itself to ensure this was not an issue with the new tubes I had put in my reference Audio Note OTO amplifier. It was not. The distortion disappeared using just the Sony. Running the DAC-09 from the solid-state outputs also cleared up the noise; unfortunately, the solid-state output lacks the star quality the tube DAC section offers. Was the distortion a deal breaker? Well no, but it reminds me a little bit of a tube buffering stage altering the signal with distortion to get a euphonic effect. The word “euphonic” does mean pleasing and the fact of the matter is that the Sony with the DAC-09 sounded pleasing. When I removed the DAC-09, the Sony on its own sounded like a dry, two-dimensional CD player. So, the DAC-09 despite some added characteristics, brought life to a relatively lifeless CD player. Okay but what about a better CD player with a better transport. I brought out my Cambridge Audio CD 6 which is running close to 13 years old now and has been surpassed by numerous players in terms of sound quality. Though the impressive transport is still working like a charm and I suppose I keep it around as much for nostalgia and sentiment than for its sound. It is a solid reminder of what top of the range budget hi-fi was all about in the mid 1990’s. And in this age of going green it is difficult to part with something that works as well as it did when I opened the box all those years ago. Using Audio Note Lexus interconnects from the CD 6 into the DAC-09, and from the DAC-09 to the OTO, things improved substantially and that distortion heard from the Sony mostly vanished. There is still a slight reverberated sound from voices that reminds me a little bit of the reverberation I heard from original Rega Planet players. Once again the DAC-09 added a bigger presentation, presented voices with presence and superior staging size, though not up with the best in terms of imaging. Miles Davis and Dave Brubeck instrumentation had an out-into-the-room presence and nicely open sense of space. The CD 6 by itself sounded sterile, shut in and small in comparison. The one-note bass of the CD 6 vanished and the DAC-09 added a sense of realism to Yo-Yo Ma’s cello, and woodwinds seeming more fleshed out. To put it bluntly, going back to the CD 6 on its own was agonizing. The bottom line is that if you want to breathe new life into older mid-fi CD players or many new ones, this DAC will do that. Against higher-end competition or for that matter higher-end Grant Fidelity CD replay, the DAC-09 will be in some trouble but that should be expected. The pertinent issue is that this DAC, mated with a $150 – $200 CD player used as a transport, will be very tough to beat for sound or build quality. Indeed, with my $800 CD player the DAC-09 wins by no small margin. Using the USB DAC section was somewhat problematic with my OTO. The OTO would generate a hum only when a computer was connected to the USB. I sent the unit back to Grant Fidelity and a new sample did the same thing. Very strange, as every other input worked perfectly. Grant Fidelity checked both and had no issues. I connected the unit to my Rotel RC 1082 preamp and a pair of Shengya PM 150 Monoblocks being reviewed and there was no hum whatsoever. The issue is with the cheap power cord I had my laptop connected to creating some sort of ground loop issue. The OTO was more sensitive to the issue while the Rotel clearly was not. 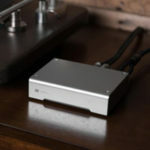 The USB function is a very nice addition because this is now quite an effective little DAC for computer users who can bypass the grunge of their computer – using this superior DAC to add weight and spaciousness to those downloads. As a traditional DAC alone the DAC-09 worth the money; but this unit is also a full-function preamp. And you know what? It’s pretty good. The preamp stage is not going to make you sell your hi-fi preamp but this is a good way to start out in the tube world on a budget, and is a nice upgrade over receivers. As a tube preamp it leans to the dark and syrupy and has a vague soundstage, voices though a little recessed but are clear. On the plus side – with the often bright and edgy budget gear that this unit would be matched to these are all good compromises, because it’s easy on the ears and by no means bright. There is solid bass here and a sense of added reverberated ambiance as I noted earlier. The preamp was an excellent compromise that certainly made my brighter leaning budget Tannoy speakers an enjoyable match. Compared to my Rotel RC-1082 preamp, the Rotel was considerably more open and transparent but it retails at over four times the price and does not have a DAC. As most tube owners know you may be able to alter the sound to your tastes via tube rolling. The DAC-09/preamp comes with a Chinese 6N3 or 5670 tube so it is possible that you may find a different sort of presentation with a different tube type. Rachel at Grant Fidelity also indicated that they will be selling an upgraded 192kHz over the 96kHz version of this DAC. DIYers will like the initial friendly price and may wish to upgrade internals such as capacitors. Ultimately, it’s one of those items that you can recommend to those friends toying with the idea of tubes but has the safety net of solid-state operation. It has that esoteric tube appeal while offering a lot of versatility for future upgrades. So there you have it. A well built Tube DAC that can raise the level of budget players without breaking the bank, leaving you more money to spend on your vinyl rig. I don’t want this to sound like those “it’s good for the money” reviews because while that is true, it offers more than that. 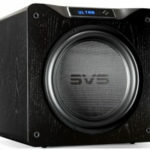 It offers a musically satisfying presentation over the all-too-common by-the-numbers approach in the sub $1,000 digital world. It produces an enjoyable listening experience that virtually anyone can afford. I can’t think of a CD front-end or a stand-alone preamp at this price that I like the sound of more than Tube DAC-09. And this unit does both! It offers a lot for a little. i bought both a tube dac11 and a yulong audio sabre18 dac from grant fidelity. the 11 sounds thumpy and veiled and the sabre 18 sounds good but will only lock on to signal from optical input. sent it back to grant to get checked but they said nothing wrong. havent responded to further requests for options or advice. terrible customer support from grant fidelity and would never buy from them again. you get what you pay for i guess.